The smells, tastes, sights and sounds from countries around the world will fill the bottom floor of the DeWitt Student Center at Northwest College from 1-3:30 p.m., Saturday, April 7. Entrance is through the Trapper Room off of Seventh St. 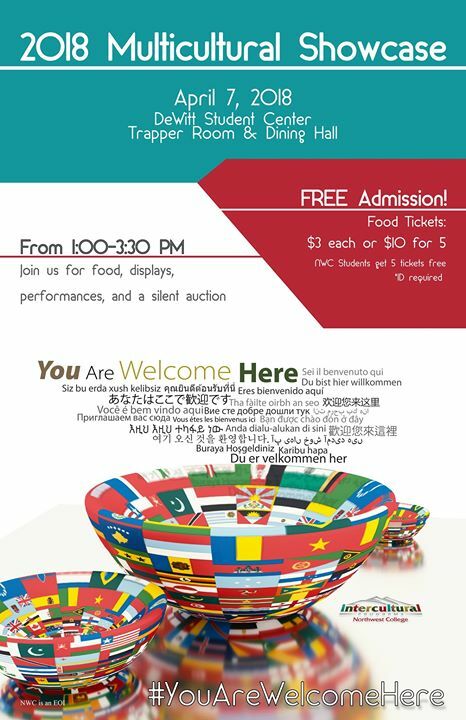 The annual Multicultural Showcase offers homemade food samples from around the globe, live entertainment, a silent auction and colorful display of authentic collectibles from countries on nearly every continent. Admission is free. Food tickets are $3 each and $10 for 5. NWC students receive 5 free tickets (student ID required).